A Closer Look. Does Coffee Make You Fat? Coffee is one of the most loved, and often misunderstood beverage. There are many myths about the famous cup and sometimes it can be hard to know exactly what the truth is. 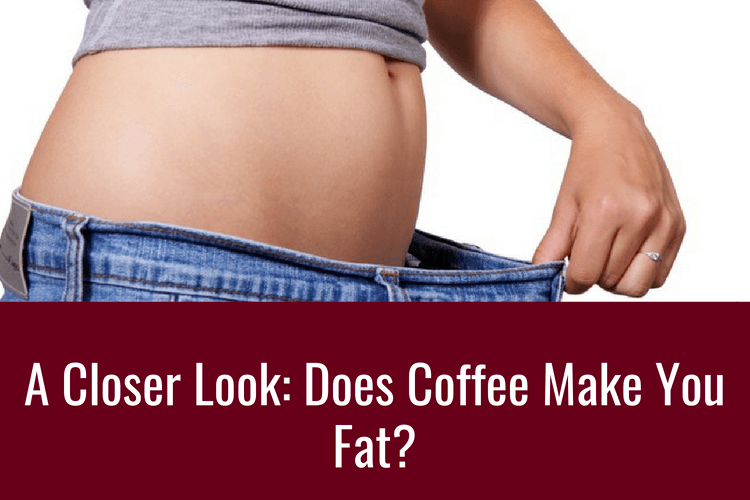 One of those misunderstood points is to whether coffee makes you gain or lose weight. 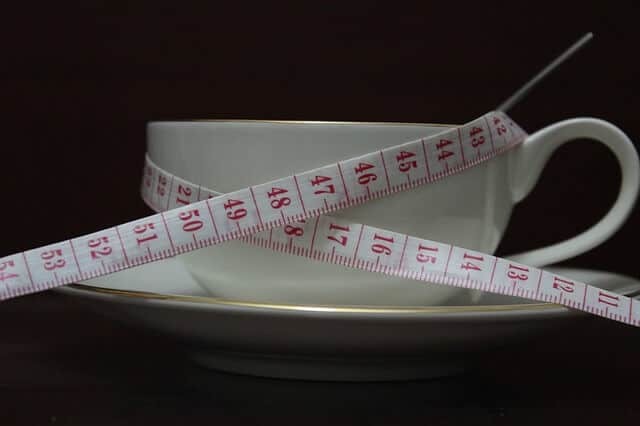 There are different reasons as to why making your favorite cup could have a negative or positive impact on your weight, so there we have a look into what is the truth and whether or not coffee does make you fat. As with many things with coffee, it can be a little confusing at times, but here we break it down to answer the question. Why Would Coffee Make Us Gain Weight? First of all, actual coffee won’t make you fat. In a cup of black coffee, there won’t be any more than 5 calories, so it would obviously take an incredible amount of cups to make a big impact on your daily calorie intake. If you are the type of person that loves their coffee black, then great, for everyone else it’s not so simple. So Why Would You Gain Weight? The reality is that most people don’t have their coffee black, and most people either have it with either a sweetener, milk, or both. If that sweetener is sugar then it can really add up the calories in your daily intake. Each teaspoon of sugar contains around 16 calories, which doesn’t sound like a lot, but it all adds up. If you were to have five cups of coffee in a day, and had them with two teaspoons of sugar, then that would add up to an extra 160 calories in your day just in sugar. Over the course of a week, that’s over 1,000 calories extra in your diet. That isn’t including the calories that are in milk either. Depending on the brand there are around 64 calories in 100ml of whole milk. How many calories you have in your cup obviously depends on how much milk you have in your coffee, but having 50ml will again add up over the course of a day. Having 50ml of milk with those 2 teaspoons of sugar will mean you’re adding 320 calories to your day, which is the same about as a decent breakfast. Believe it or not, that can be an extra 10,000 calories over the course of a month. Going to a coffee shop and buying your favorite cup is a treat that we all enjoy. If you’re looking to maintain or lose weight though, these drinks can’t be a regular treat at all. All these coffee shops care about is taste, which is great for that special occasion, but with that taste comes a lot of calories. They can contain hundreds of calories which often you don’t think about with them being a drink and not a meal. Some of the drinks in the most well-known coffee chains can contain over 400 calories which is an incredible amount, especially if you’re having more than one a day or adding it to the coffees that you already have. Even a lot of the regular drinks in these shops have around 300 calories, and at this point you’re starting to get a long away from the 5 calories that you get in a cup of black coffee. One of those mochas might taste great, but your waistline isn’t going to thank you for it and it can easily make you gain weight. As most people know, coffee contains a lot of caffeine which can affect your body in a number of different ways. Too much caffeine can make you feel anxious and that anxiety might make you want to comfort eat or become sedentary. That will mean that can start to gain weight, even if it’s not directly related to the coffee. Also those late nights that coffee can cause can make you eat more too as you crave food when you should be sleeping. It’s clear that you have to be very careful when it comes to coffee and making it a part of your daily diet. How Can Coffee Make You Lose Weight? The calories that come from coffee often come from the ingredients that can be added to that black coffee. In those coffee beans, however, there are a few things that can actually make you lose weight and caffeine contains a lot of substances that can actually make a positive influence on your body. Possibly the biggest way that coffee can help you lose weight is due to the fact that it increases your metabolism, It does this by stimulating thermogenesis which in turn helps you burn fat. 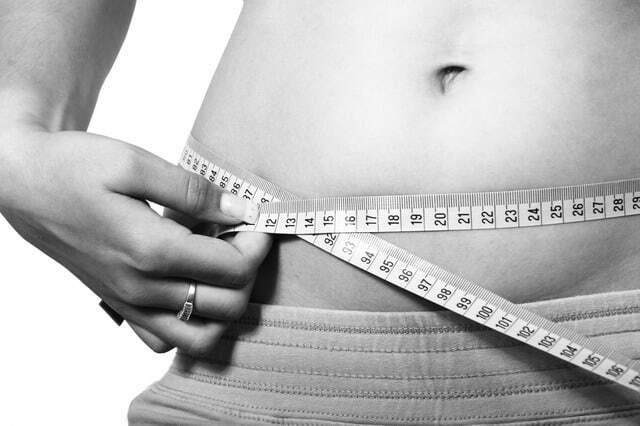 Your metabolic rate is the rate at which your body processes food, a higher metabolic rate means that this process will be much quicker and use more energy, and therefore burn more fat. That simple black coffee can work wonders. If you’re putting too many calories into your body, then it doesn’t matter how quick your metabolism is, so it’s important to make sure you don’t see that increased metabolism as an opportunity to have even more sugary drinks or calories. Another great aspect of coffee, and the caffeine that comes with it, is that it contains something called chlorogenic acid which can give you numerous health benefits as it has also been linked to reducing your risk of the likes of diabetes and cancer. What it also can do is slow down the absorption of carbohydrates and help you break down fat. That will stop as much fat from your food going onto your waistline with will stop you from gaining weight. Chlorogenic acid helps your body function to its full potential and stop all those calories from carbohydrates being turned into fat, and instead turned into energy. As with any health benefit, it has to be seen in context and that is to make sure that the thing that is giving you that health benefit isn’t hidden in something that will make the overall net effect worse. The context of this is clear in this respect, if you’re getting the boost to your metabolism and your chlorogenic acid from a 400 calorie cup of coffee, then the health benefits will be pointless as your body won’t be able to burn those calories fast enough or break down fat quickly enough to cover those extra calories. Another one of coffee’s tricks is to suppress your appetite. Of course it would never be a good idea to skip a meal and have a coffee instead, but having your favorite cup instead of your favorite snack can be a great way to prevent weight gain. If you have an hour before lunch and have the temptation to reach for a chocolate bar, making yourself a brew to keep yourself going could help you get through until it’s time to eat a proper meal. It’s also clear that caffeine can boost your energy levels, and this can help people in numerous ways. If you’re stuck on your couch and struggling to find that motivation, caffeine can help you get that boost of energy, get up and do something productive. If you’re in the gym and have some energy behind you, then this could help you work out harder and for longer. Clearly there can be positives and negatives when it comes to coffee and weight loss. If you can’t help but go to your favourite coffee shop each day and buy one of those famous drinks then you are going to find it very tough not to put on any extra weight. Those kinds of calories serve very little nutritional value and are empty calories as they serve no purpose. It’s also going to hurt you if you’re having numerous cups a day with whole milk and sugar, they all add up over a course of a day. Even if you’re eating well, you could still be going over your daily calorie intake. Having black coffee instead has it’s great health benefits that can aid you if you want to lose weight. When it comes to coffee it can be dangerous when you don’t appreciate it as part of your daily calorie intake. Having those cups aren’t just a nice drink, they can contain calories and should be counted as any food would. If you want the health benefits of coffee, then you need to make sure you’re not putting in additional calories into your body that can negate those benefits. As with many things with coffee, it’s all about drinking in moderation and not having too much. If you drink a lot, then a switch to a low-calorie sweetener like Stevia or a low-fat milk help you on that waistline.